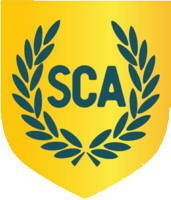 The Society for Creative Anachronism, Inc. (SCA) is an international non-profit volunteer educational organization. The SCA is devoted to the research and re-creation of pre-seventeenth century skills, arts, combat, culture, and employing knowledge of history to enrich the lives of participants through events, demonstrations, and other educational presentations and activities. 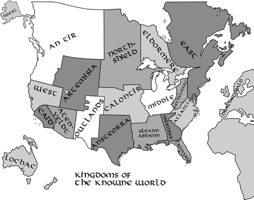 Medievalism in American Culture: America lacks a documented medieval past. Hawthorne: "There is no shadow, no antiquity, no mystery, no picturesque and gloomy wrong"
In Europe, the medieval revival flourished and forged bonds between literature and the arts. In America, it appeared in architecture, painting, sculpture, decorative arts, literature, history, and popular culture through class, spectacle, memory, religion, and sexuality.